A startling, cidery biodynamic Spumante from a little-known grape. A Méthode Champenoise Spumante three years on its lees. Macerated for 100 days, the longest ever for a Méthode Champenoise! 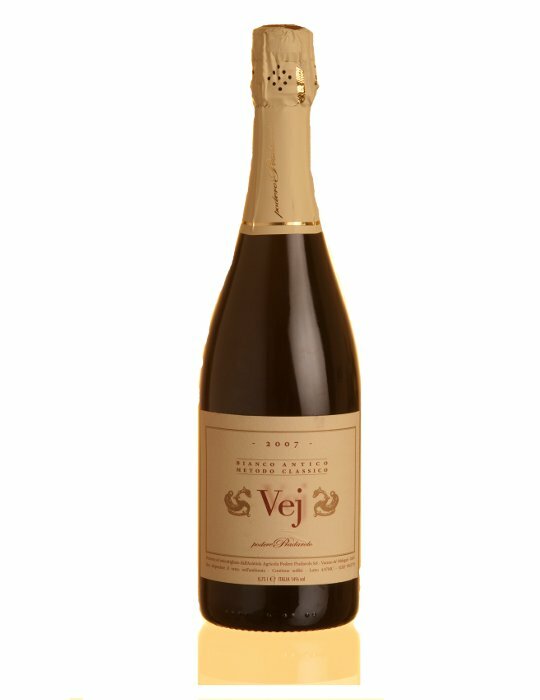 This sparkling wine, made in the traditional method, is a strong amber-orange colour with the full floral aromas typical of this grape variety and a startling dry, fruit and ginger spiciness which belies the sweetness and richness of the initial aromas. Strong fermented apple flavours give the satisfying sensation of an entirely natural wine. SO2-free, and unfiltered.